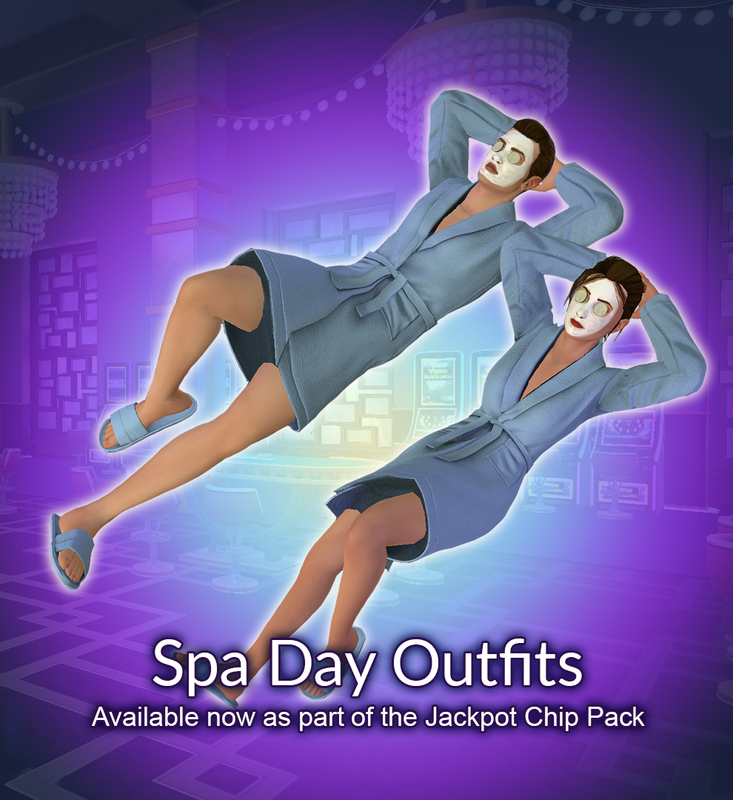 March's Jackpot Pack Reward is the Spa Day Outfit! Take a day for yourself - you've earned it. This pack contains all you need for a perfect "Me Day" - comfy slippers, a snug robe, a rejuvenating face mask, and cucumber slices (apply directly to the eyeballs). It's sure to freshen up that poker face of yours! Available throughout March as part of the Jackpot Chip Pack - find it at the Cashier.